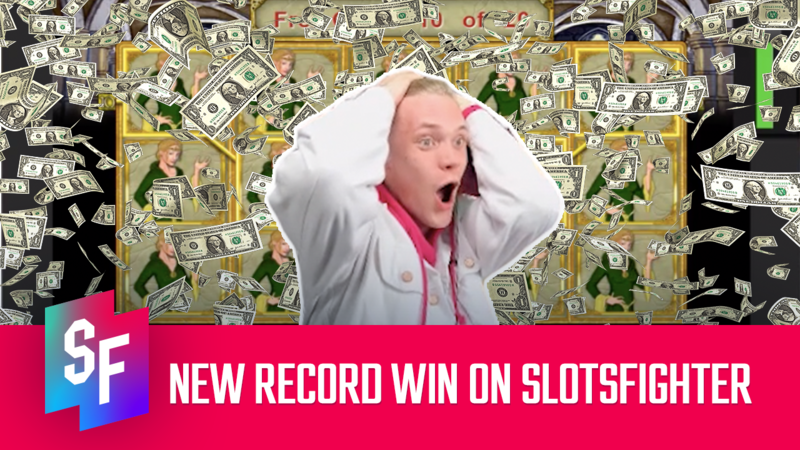 A New SlotsFighter Big Win Record Set With Magic Mirror Slot! The past couple of weeks on SlotsFighter have been full of exciting highlights and great moments. Coupled with the increasing quality of our streams and new stream concepts arriving, the community keeps growing along with SlotsFighter. But the community and the platform is not the only thing that’s growing – it’s also the big wins. But this time, something unimaginable has happened – an insane £10,000 win on Merkur Gaming’s Magic Mirror slot. We have seen more than a few wins on Merkur Gaming slots that have been quite high in the big win tops on SlotsFighter. 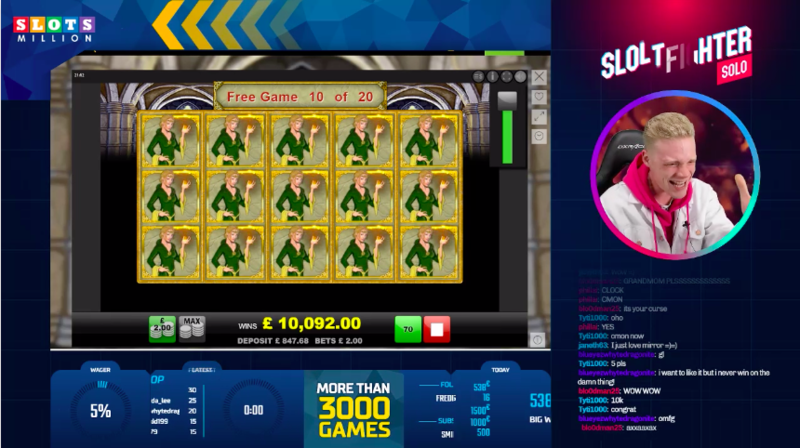 We have seen more than a couple of big wins on Magic Mirror slot by other streamers. But no win ever before has topped Mario’s latest big win on the slot. It was a typical weekday stream with Mario casually wagering off a deposit on SlotsMillion. A few minutes in a while playing the Magic Mirror Deluxe II slot, he got hit with a free spins bonus game trigger. Even while starting with simple aces as expanding symbols at first, soon after, he caught a retrigger. Unsuspiciously, the expanding symbol switched to the top paying symbol. But this hit was nothing anyone even suspected. A few spins in after the retrigger and the feature symbol switch, the game screen suddenly gets struck with nothing but the lady herself. She slaps down a huge jackpot win with a 5000X multiplier, summing up to a £10,000 big win. Now, this breaks all the previous big win records in the history of all SlotsFighter streams – tournament streams included. We had never seen a multiplier like that before. It is an incredible feat for the whole SlotsFighter community. Let’s hope for more big wins like this in the future! The big win was caught on one of our top casino picks SlotsMillion. Check out the SlotsFighter exclusive bonus deal! The content presented on slotsfighter.com is intended for entertainment and informational purposes only. Bonuses, deals and promotions that are presented on our site are subject to change with prior notice. We are not a gambling operator and don’t directly offer or provide any kind of real money gambling services. Slotsfighter.com cannot be held responsible for any losses from gambling linked to any of our offers and/or promotions. We advise any person to gamble responsibly at all times.